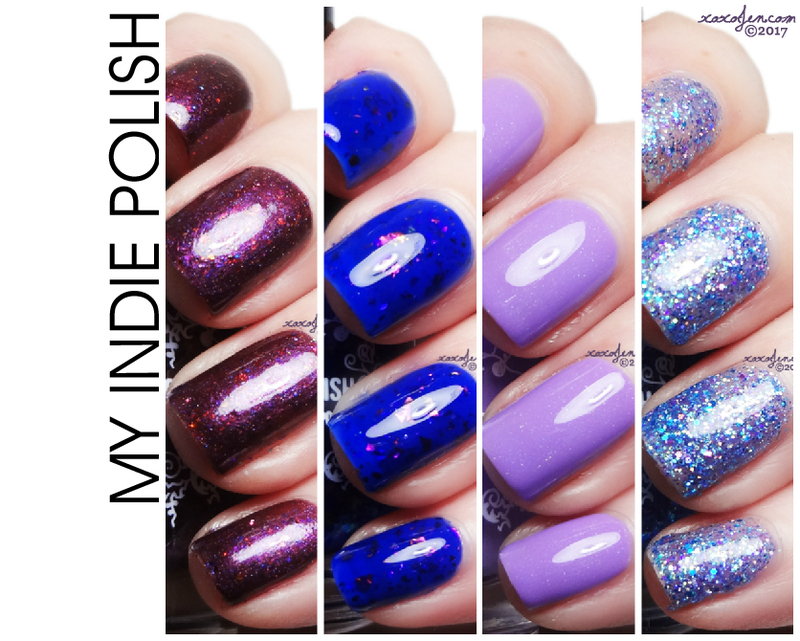 My Indie Polish has launched a 12 piece set called Hello Toronto, of which I'm sharing four. 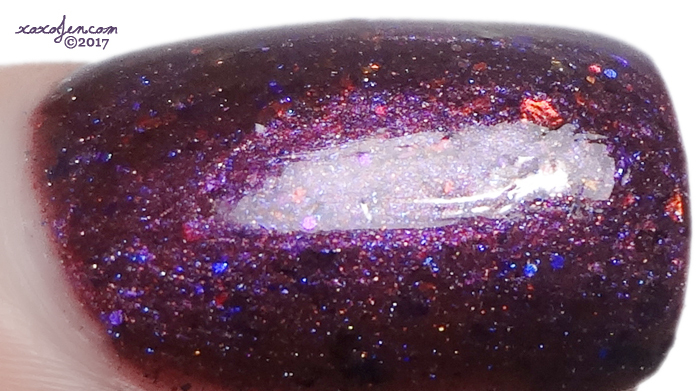 A deep plum with glitters and mini ucc flakies. I wore two coats and topcoat for a glossy shine. The formula was smooth and easy to apply. 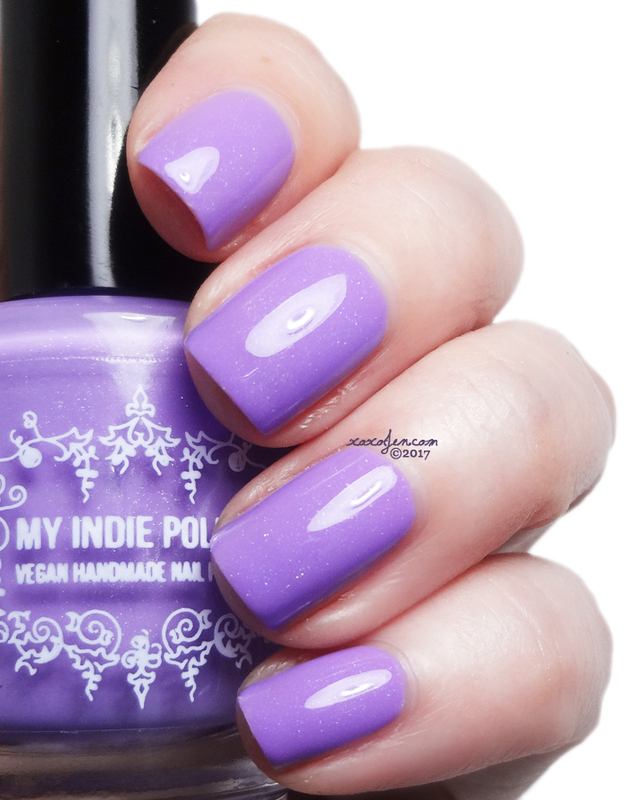 A creamy bright lilac with hidden holographic shimmer. Such a beautifully done polish. 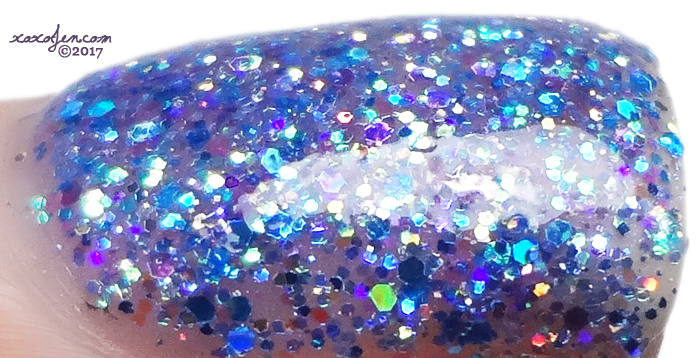 It looks like a cream, but has that hidden holo shimmer that only you might know about. 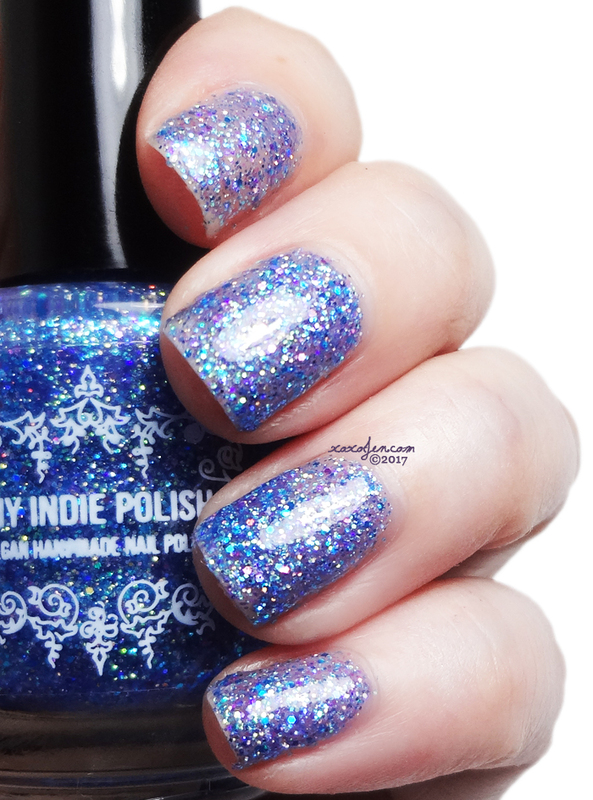 The holo adds dimension and it sparkles in the sunlight. Is this the new trend? Hidden holo? Cause I am absolutely LOVING it! Nothing like this in my collection. Formula was creamy smooth and opaque in two coats. 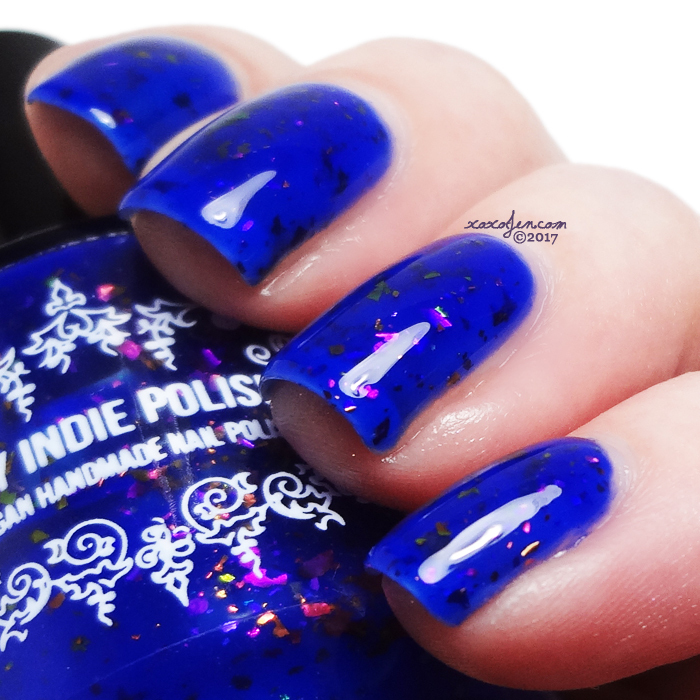 An iridescent blue textured glitter polish. I wore two coats in the photos below and it was almost opaque. I think one more coat would do it if you want a dense glittery look. I kind of like letting the nail show through a little. The formula was fluid and easy to apply. I wore a coat of gelous and then topcoat for a smooth glassy look. 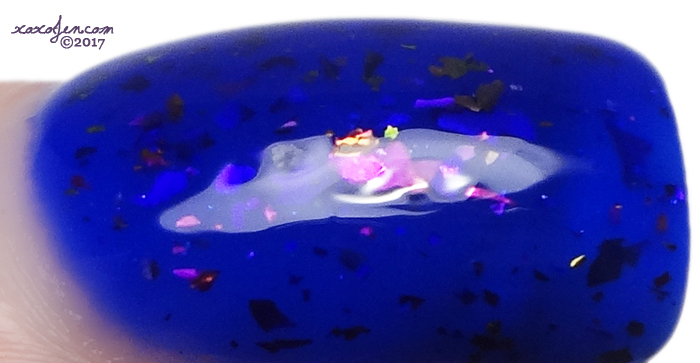 A dark blue jelly with a smattering of multichrome flakies throughout. So squishy, this polish! I can't even. I wore two coats with topcoat, formula was great. 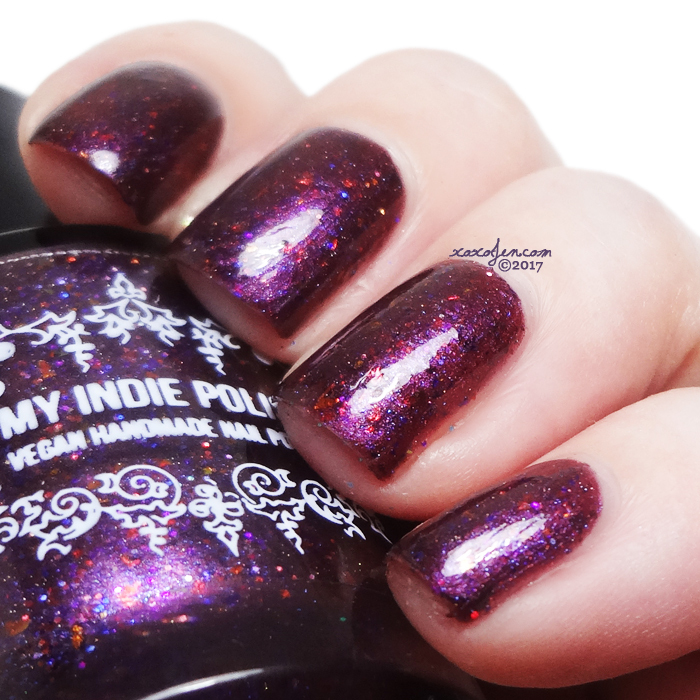 The polish formula is fantastic, smooth and buttery just like I like! Wear time is great so far, going on four days with no chips. 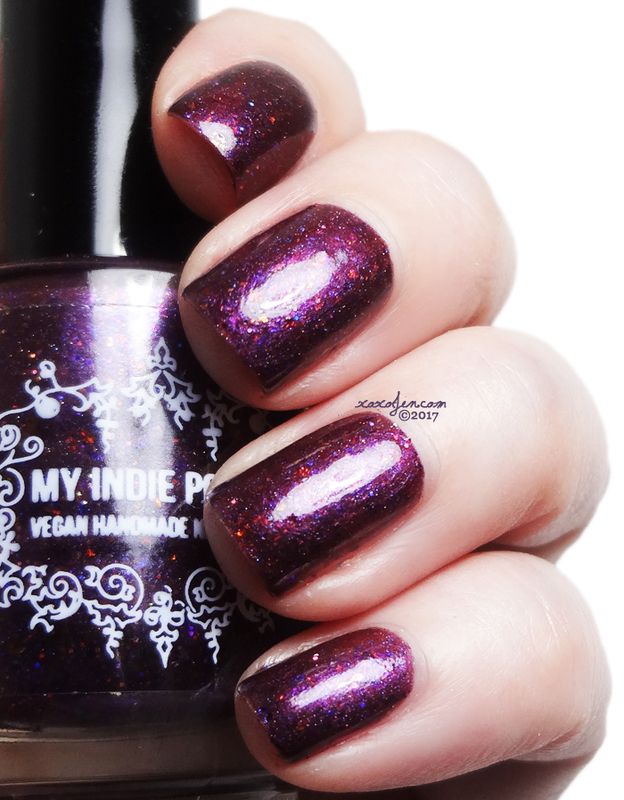 I hope you've enjoyed my review, now head on over to My Indie Polish to see the rest and pick up a few of your own! Some lovely colors these are.